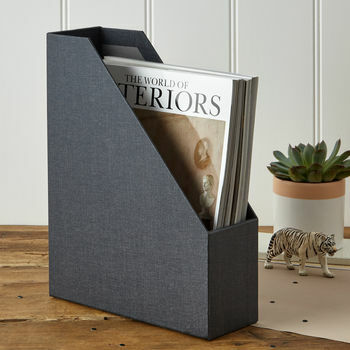 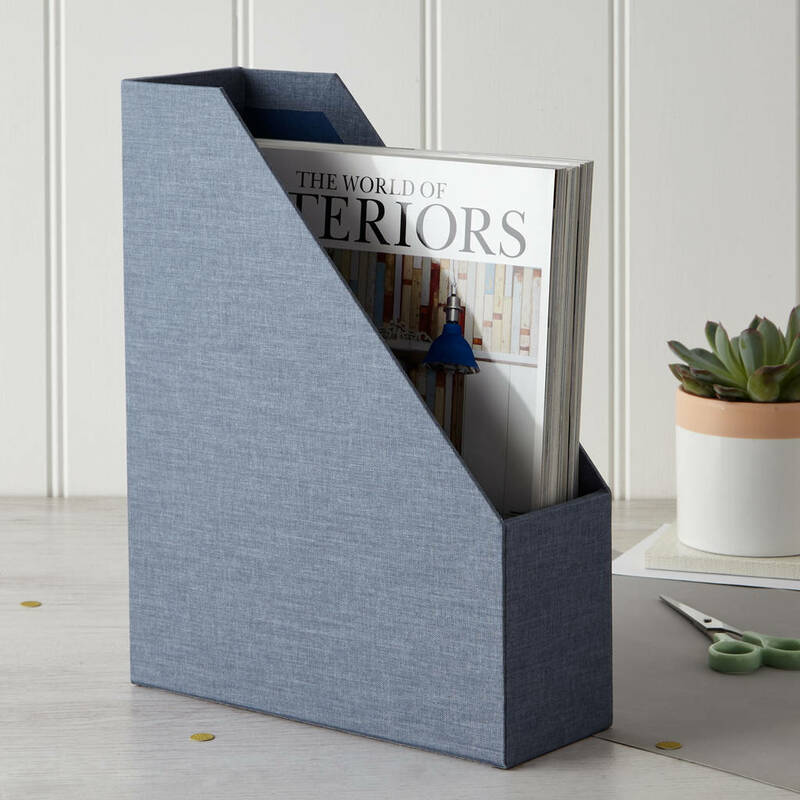 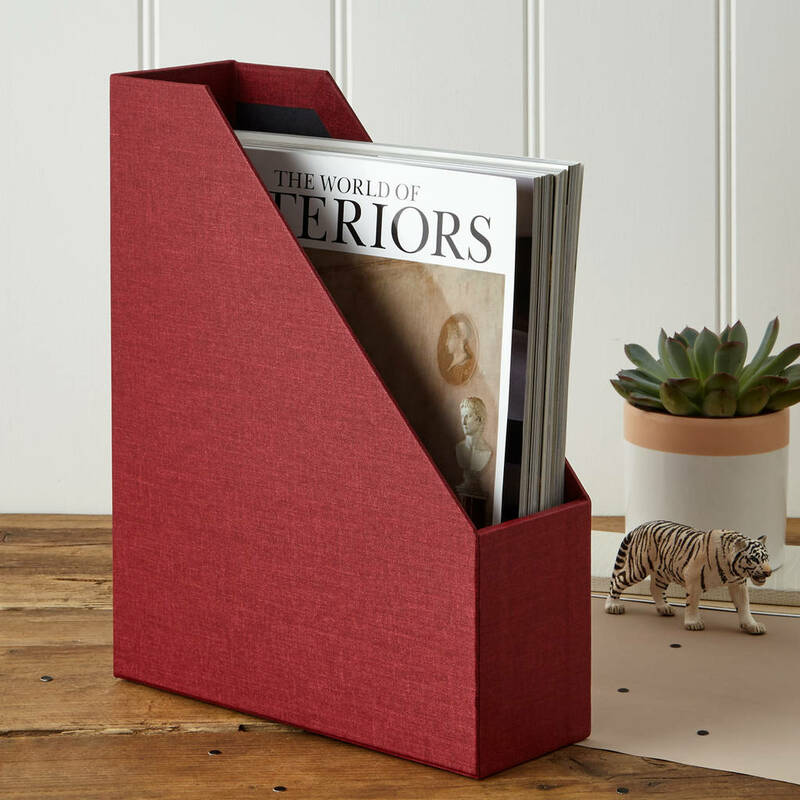 Magazine files provide a stylish and practical solution to sorting all of the magazines, brochures and loose documents you seem to be endlessly tidying. Available in a choice of colours to suit your interior, these modern linen files are timeless and elegant; their texture is homely, on trend and is an ideal finishing touch. 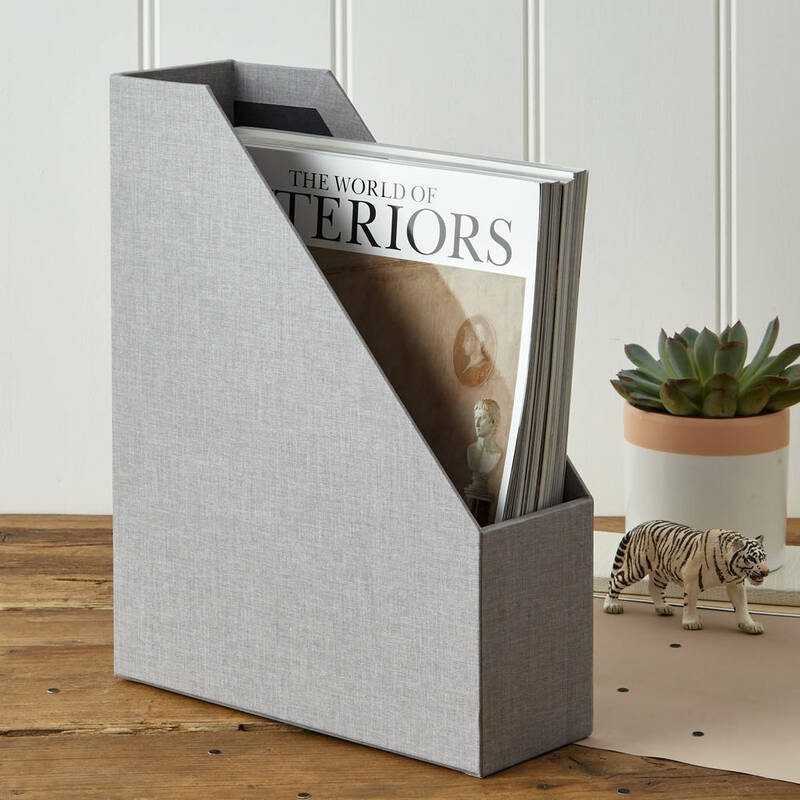 Fit card frames for easy organisation on either the front (small) or back (large) edge, depending on how you wish to display them, and select brass or chrome to suit your taste. Pair these magazine racks with matching wastepaper bins and tissue boxes for a cohesive office look, and perhaps add some lever arch files and box files to organise the rest of your paperwork.